All Atlanta would need to do is create new streets to break up the larger blocks among the non-grid fabric. As well as fix/connect the intersections. Like, 12th St: what the hell is this? Just one out of hundreds of examples like that across the city. Anyway, at least Atlanta's layout is a lot more fun/quirky/memorable. Lots of character, charm, interesting uniqueness everywhere. As opposed to the squared off simple grid/block system in Houston/Chicago/Miami. It's just a different style. The picture you showed is row townhomes. That seems pretty urban to me-DC, Boston. And its right across the street from one of the main public housing complexes, so there are limits to what you can do there. You should look at the 300 block of West Gray, part of the same 4th ward neighborhood in Houston which has been redeveloping, only about a half mile away. Focusing on the gates and the narrow sidewalks. That's the part. It's not "pedestrian friendly". I put that in quotations because I despise that phrase but it's for lack of a better word. Not a fan of that type of infill....townhouses that are gated? Setback is too far back also. That's just density for the sake of density without any regard to the surrounding environment. Looks suburban to be honest. 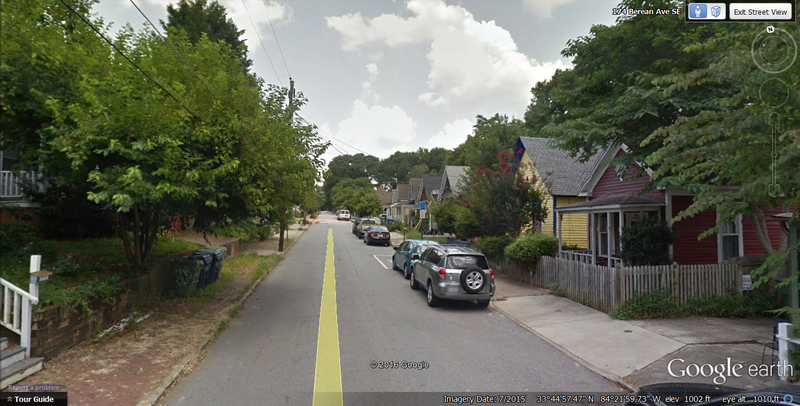 Atlanta does infill so much better than it's Texan's peers. https://goo.gl/maps/PrTUh9iwss82 - Very charming neighborhood that incorporates greenery and trees on it's streetscape and buildings. Houston/Dallas may have more potential than Atlanta to urbanize a larger area, but it'll be forever before that happens and even then, if they keep doing infill like THAT, it ain't going to matter much...Yikes. Well. It's not suburban. But it's not really all that urban either. It's much closer to urban than it is suburban though provided that a few fixes could take care of. The gates are a problem but can be removed. I think these are actually SFH's. The sidewalks are extremely narrow and needs to be widened. That pointless little strip between the street and sidewalk is not needed. As far as the setback, some cities pull it off. This development could have as well if they did it right. 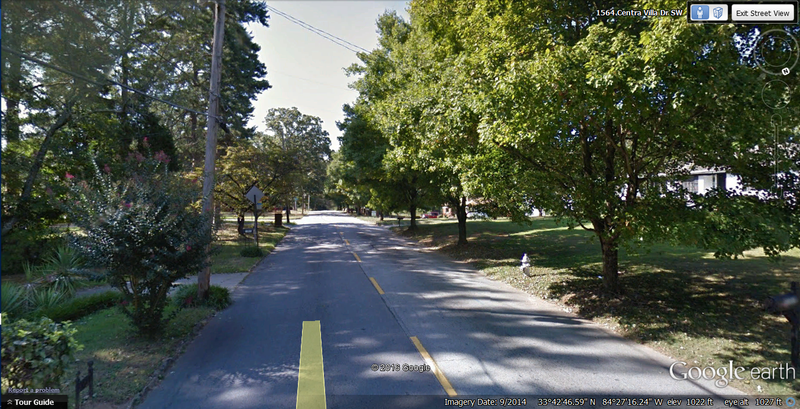 For instance this one is set back but is still very walkable. 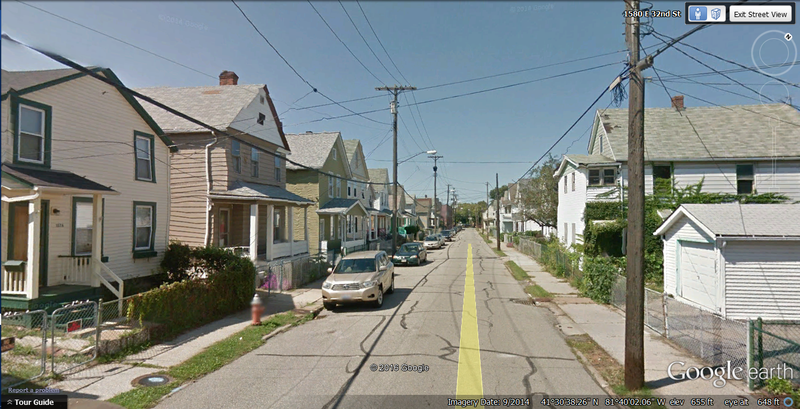 Anyone that wants to enjoy a neighborhood of a city would have no problem walking through this neighborhood. In that pic I provided earlier, remove the gates and extend the sidewalks, and you would be far more urban than it would be suburban. The perception of making it easily walkable with added density does help it as being urban. Also, no city has just one way of infill. BTW, next time you're in Dallas. Do more exploring because you will find neighborhoods similar to the one you posted in Atlanta. No, not that many neighborhoods were razed. Of the one's you listed, believe it or not, they are probably not less than 60% of where they were at peak. In some cases, certain neighborhoods are at the highest density levels they've ever been like Midtown and Va-Hi (it never saw widespread urban renewal or blight). However, you point is not without merit AND I wasn't suggesting all of Atlanta's density pre-1950 came from slum areas. Rather, most of it came from the slums. Let's deal with your examples first. 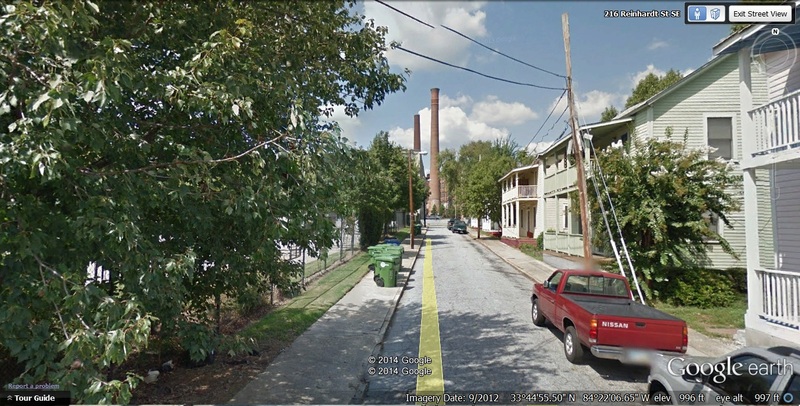 The western side of Inman Park definitely suffered from urban renewal due to the properties that were cleared for the failed Stone Mountain Freeway (now Freedom Parkway) project. It also saw several decades of abandonment and neglect. All things considered though, the neighborhood has fared well. Old Forth Ward perhaps has had the worst luck of all current neighborhoods. It nearly wiped out in the Great Fire of 1917, and had both 75/85 and Freedom Parkway jammed right through it. These however are just the obvious ones. What's not spoken much about is the huge slum that existed roughly around the Civic Center area down to Sweet Auburn called Butter Milk bottom. At it's peak it had around 40,000 residents in about a 2 square mile area. A combination of the highways and urban renewal projects basically erased that entire neighborhood from existence. You mentioned Vine City, but neglected to acknowledge that the majority of the population was in the slum area near where the World Congress Center and the Georgia Dome are today. This area wasn't some genteel area filled nice Victorian houses. It was filled mainly with housing like this up until the housing projects were built. Speaking of housing projects, this where you can find the answer of what existed pre-1950 to give Atlanta a lot of it's density heft. Research what existed prior to the projects of Techwood, Harris-Chiles, John Hope, Grady, Herndon Homes and many others being built. It wasn't empty land. As I said though, your point is not without merit. South Downtown and the West End were devastated by intentional de-densification and blight. And most off, Washington-Rawston got the worst of it in the way you describe. Imagine a neighborhood that in it's heyday was as grand and dense as Midtown in that period and was completely wiped off the map. But let's idealize the old-Atlanta. My point was not Va-Hi saw massive bright my point was a lot of neighborhoods were being razed left and right Va-Hi was about be victim from being removed for a Freeway because it did not make difference. Atlanta was in urban renewal ram page that was pro sprawl. A lot of Americans cities did this but in the larger sunbelt cities especially is more advent. but it was philosophy of the time not just in America but the world. 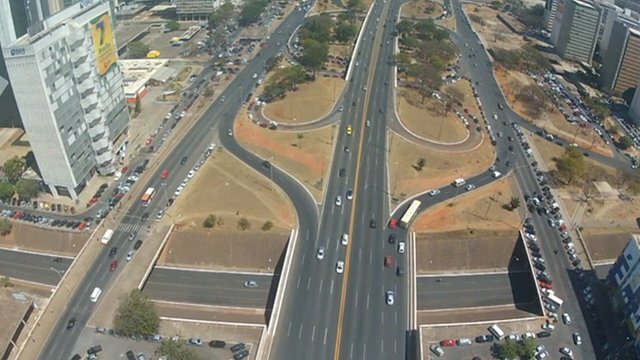 Brasília Brazil's capital was design during this time, the city was super spacious, completely car centric. I know several names of the slums in Atlanta during the time and there locations I know, I also know about the Atlanta fire in the Old fourth ward that was back in 1917 I'm talking about the 50's - 70's and even into the 80's. What I would refer to as slums are areas with no pluming, electricity or they can't renovated. There was only a dozens or so slums. Most of the east and westside were not slums. A lot that was razed were homes that were capable of being renovated. 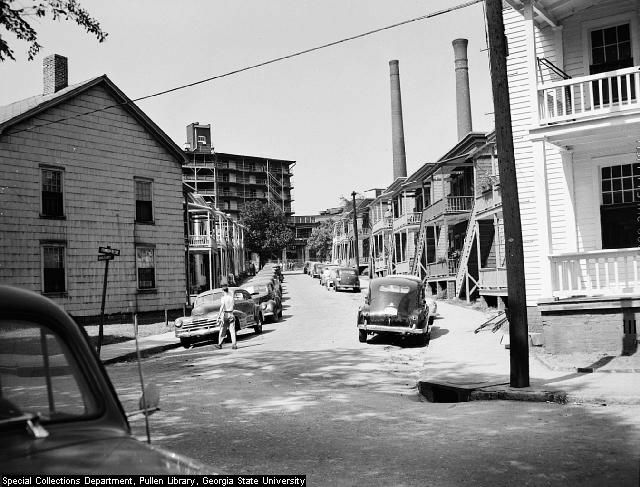 A lot of the homes now that exist in Sweet Auburn, Vine city, Cabbagetown, Inman Park and a lot of The Old Fourth Ward was built through the 1880's to the 1950's. And the only thing about them from what was torn down. Is the luck they survive history thus far. And some areas were made national historic districts. There Folk Victorian cottages, shot guns, double decks Memphis and Obliviously New Orleans have did a much better job in keeping this older style southern of Architecture.. instead restoring them in Atlanta case a lot was tore down. Atlanta would of had more pockets that look like Cabbagetown and Sweet Auburn. My post wasn't just about the past but the future Atlanta is not going to completely remove single family neighborhoods and put condos and apartments in replace of them. So outside of the districts and areas that allow multi family units. It only make sense to infill these neigborhood with dense family homes and corner stores. 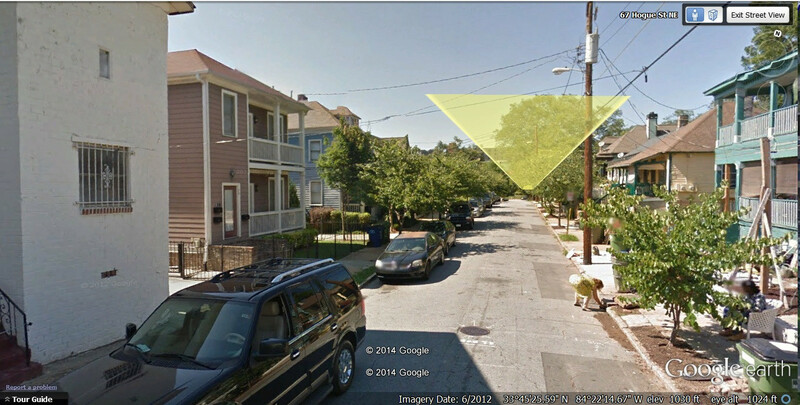 If Atlanta was this dense with single family homes around the core there a lot Atlanta can potential do. Outer areas of Atlanta not much can be done for growth. Also Dallas and Houston doesn't have neighborhoods with yard this large. 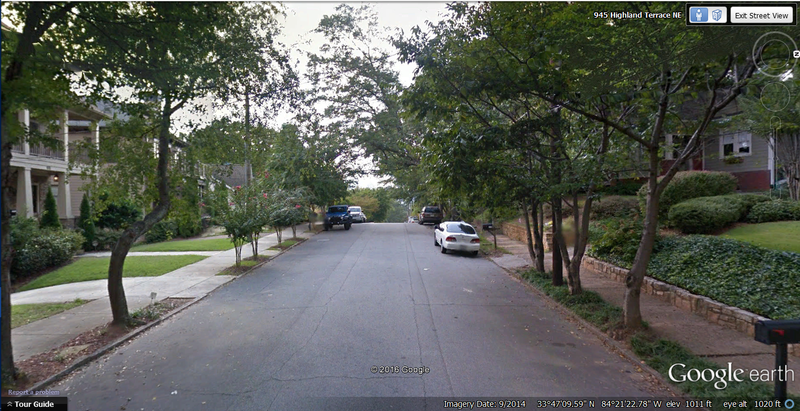 Out side Atlanta core but not that far out Atlanta start to have neighborhoods with yards like this. This is medium and like the size of 90% of Dallas and Houston yards. 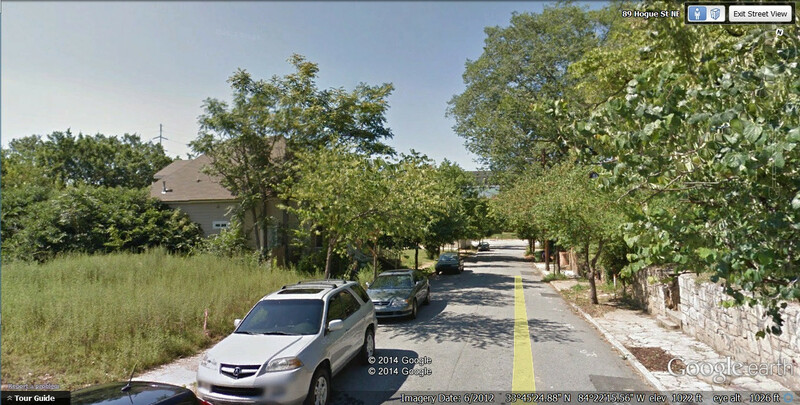 This is a leafy street but the homes lots are small, and it's develop dense. Houston and Dallas don't have many neighborhoods like this. I was going to say you most have found a Houston like Lindbergh development. In fact Atlanta has more but no that's right next to might even be consider Downtown Houston. Atlanta core is built denser than Houston, outside Atlanta core Houston is built denser than Atlanta. Yeah, Dallas actually has a nice brownstone development going up right now that looks great. Dallas seems to be doing infill right. I guess I should have said Houston specifically. I wonder why Dallas developed it's urban core so much better than Houston did. It's northwest side is impressive. Houston for the most part is rather unimpressive outside of it's downtown core. I don't even care for "Midtown" all that much. It's one block of urbanity...not that impressive. 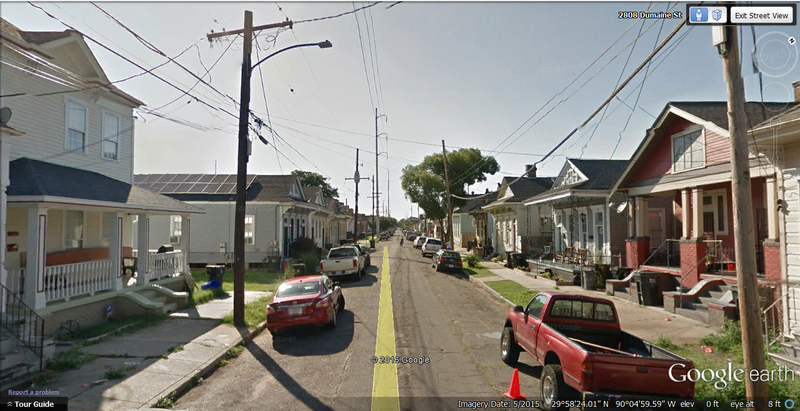 (not considered downtown-its outside the freeway loop around downtown-its called 4th Ward). Houston and Dallas have denser multi-family. 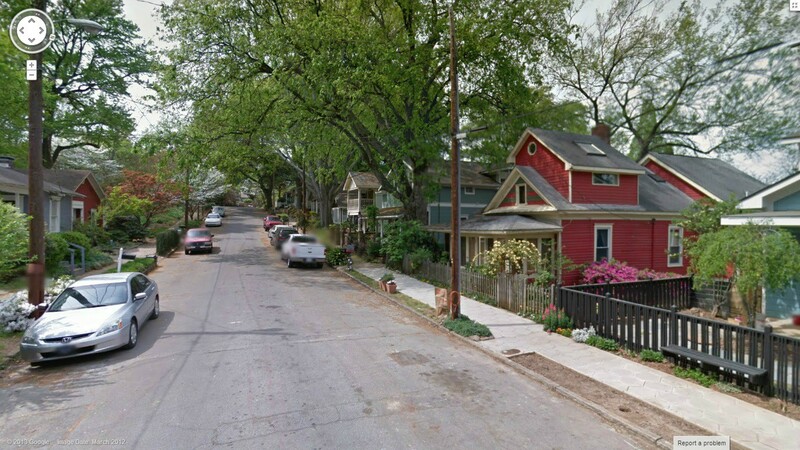 Inman Park might become the densest part of Atlanta in time with all the apartments. The densest part of Houston is actually the Gulfton area about 7-8 miles from downtown outside their loop 610. However, its mostly lower income apartments-heavily immigrant. More like Buford Hwy than Inman Park. Atlanta doesn't have areas with large masses of apartments. In the long run that may be a good thing, but it means Atlanta has lower density. Note that Houston had 443k inside Loop 610 in 96 square miles according to the 2010 census. Atlanta had 447k in its 132 square miles city limits.